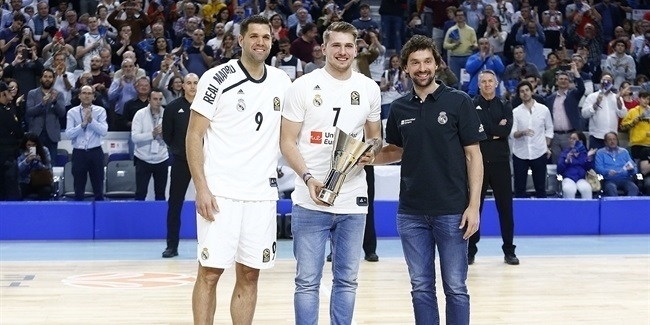 Moments before Real Madrid, the reigning Turkish Airlines EuroLeague champion, opened its season against 7DAYS EuroCup champ Darussafaka Tekfen Istanbul on Thursday in the Spanish capital, head coach Pablo Laso received the Alexander Gomelskiy EuroLeague Coach of the Year Trophy for the 2017-18 season from Euroleague Basketball President and CEO Jordi Bertomeu. 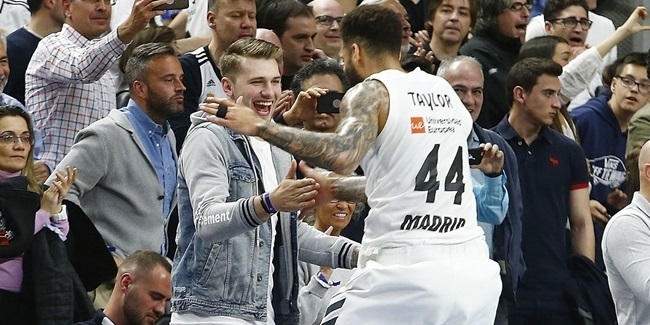 Laso is beginning his eighth season on the sidelines in Madrid and he has led the storied club to a rebirth with five EuroLeague Final Four appearances and two championships in that time. 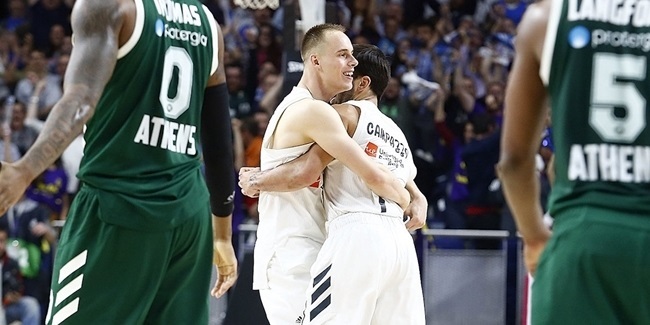 Laso also won the Gomelskiy Trophy in 2015 and is one of only three men – joining coaching legends Ettore Messina and Zeljko Obradovic – to have been awarded the trophy twice. Laso was among the great point guards in Spanish basketball history and remains the Spanish League career leader in both assists and steals. He spent the bulk of his career with Baskonia Vitoria-Gasteiz, with whom he won the Spanish Copa del Rey in 1995, and then played two years for Madrid, making the 1996 Final Four and lifting the 1997 Saporta Cup. He traded in his playing clothes for a coach's whistle in 2003 after 19 seasons as a professional player. Laso spent a season each with AB Castello, Valencia and Cantabria and four with Gipuzkoa before Madrid came calling in 2011. The Alexander Gomelskiy Coach of the Year Trophy pays tribute to the coaching legend who won the first three continental titles from 1958 to 1960 with ASK Riga. Gomelskiy, the father of basketball in the Soviet Union and Russia, also led CSKA to the continental crown in 1971 for his fourth and final title. He passed away in 2005 at age 77.